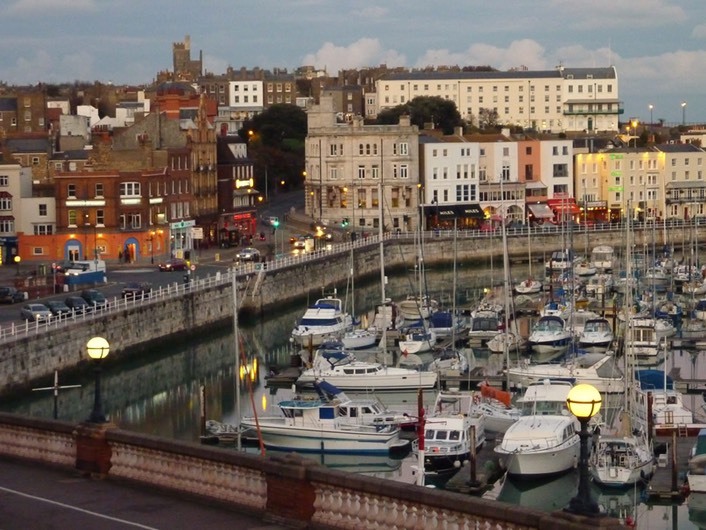 Ramsgate is a wonderful blend of maritime heritage, architectural splendour and a touch of cosmopolitan pizzazz. Why not dine alfresco and watch the yachts sail in and out of the marina, or stroll along the promenade to the harbour and choose something tasty from one of the boats landing their daily catch? For those who like nostalgia, a visit to the Pinball Parlour where you can try out the vintage machines will invoke memories. Visitors are spoilt for choice when it comes to the beach, with 15 beaches and bays between Pegwell Bay and Reculver renowned for their sand and awarded 3 Blue Flags and 7 Quality Coast Awards. Whether it be beach combing or boat rides Ramsgate has it all to offer. For the more energetic there is the Viking Coastal Trail, one of the most attractive leisure cycle routes in Kent. Breathtaking sandy beaches and fresh sea air, discovering a natural, relaxed and friendly place. Facing south is Ramsgate and its stunning Royal Harbour, unique in England. With a lively shopping area and regular traditional market, the town is excellent for food and eating, with little cafes, friendly pubs, excellent varied restaurants and a ‘café culture’ at the harbour-side – the perfect place for a relaxing time.